For students from the 1st to 5th course, a compendium of the most beautiful and useful studies for training of the guitarist, with the composer's original comments translated from French in the footnotes. 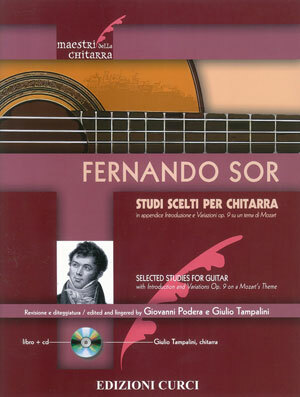 The appendix includes one of the great masterpieces by Sor: Introduction and Variations op. 9 on the aria "O cara armonia" from The Magic Flute by Wolfgang Amadeus Mozart.